The sealed tent is specially designed for family camping, you can enjoy your camping outside such as beach, mountain, or the place far away from the city. There are Mosquito screens, outside double window cover, for the front and outside, there are also such design. So with this tent, you do not need to worry about the insects outside. Even you open the cover outside. And there are also floor sheet below, which can help you to keep the inside clear. And it is totally waterproof, you do need to worry about the wets get inside. 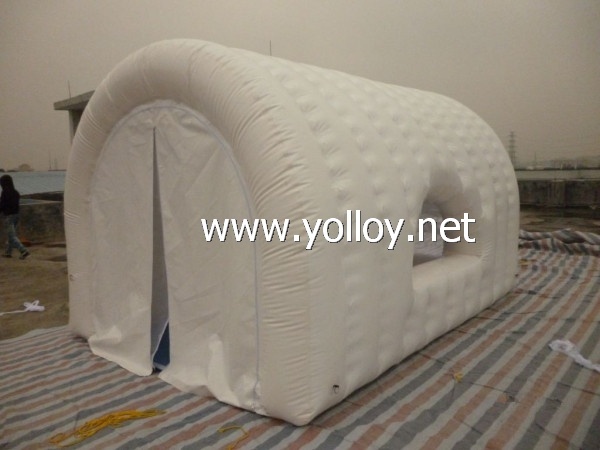 The inflatable tent is customer size acceptable. So if any request, just let us know. We are specialize in producing customer products.